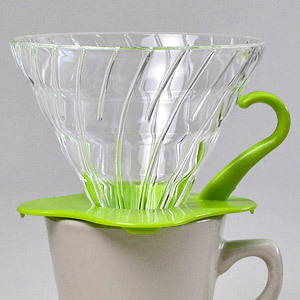 Hario 2 cup glass filter cone. Cone itself is made of all glass but sits inside of a plastic holder. Filter cones come boxed and are furnished with a measuring scoop. Paper filters, in packages of 100 are offered separately.